Today I have a guest post at Rachna’s Scriptorium. She wanted something writing related. 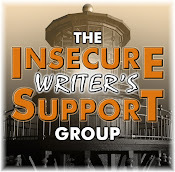 (Yes, I am a plethora of writing tips – not!) So you’ll have to stop by and see what I came up with. Monday it was the reviews of CassaStar and Cassafire, Wednesday was the interview, and today is the giveaway of my books at The Writing Nut! Visit Nutschell’s site for a chance to win a copy of CassaStar and CassaFire. Liz Fichera’s cover for Hooked was revealed yesterday on Harlequin Teen’s Facebook page and today she has big news! Michael Abayomi has a new book out – Neuro: A Science Fiction Collection. Congratulations, Michael! See his site for details. Rick Daley is celebrating Christmas in July by offering his book, The Man in the Cinder Clouds, for on 99 cents. Laura B. Diamond just signed a contract with Etopia Press for her book, Shifting Pride. Congratulations, Laura! Wednesday, I’d asked how to permanently remove blogs from Google Reader when unsubscribing doesn’t work and the blog has removed the GFC widget. Thanks to Laura and several others, we have an answer! Three films are tied for most Academy Awards at eleven Oscars each. What song has unofficially been used in the most movies? Several people suggested Happy Birthday, Bad to the Bone, and All Star, all likely candidates! Don’t forget to visit Rachna’s Scriptorium. and The Writing Nut! I think I made it... happy Friday 13th... great blogger solution. i hate the places that have become spammy places. going to see spiderman today the wife gave me a choice that or magic mike... i think it was a trick question. Thanks Alex - but when I click the Manage Reading List it says it's unavailable. It just doesn't like me. BTW - on the right side of your blog it says you don't have any friends in the "Join this Site" widget LOL. I just read your post on Rachna's site - be true to yourself, excellent advice! Thanks for the tips on unfollowing, very useful! Glad to hear Cassa Storm is almost done! Awesome that you're almost done with your manuscript. Interesting that you add the chapters after the draft has been written. Sounds like you are powering along with CassaStorm!! Yay you!! I didn't realise that TS3 was the highest grossing animated film. Impressive!! That removing blog tip is incredibly helpful, nice one Alex! Jeremy, you were first! And good for you for not failing the wife's trick question. Thanks, Susan! And the GFC is back. And I didn't think the Manage Reading List liked me when it took three minutes to pull up the list. Natalie, I know, it's weird. Lynda, that one surprised me as well. Lurker, thanks to several followers who told me! Not only do you know how to manage your reading list, you manage your time better than anyone I know. And eep! What does it say about me when I didn't even know there was a movie called, LOTR: Return of the King. Gosh, it IS Friday the 13th. Egads. Superstitions, away! That removing blog tip is going to come in handy pretty soon. Thanks for putting up your book trailers again. I enjoy watching them each time. I can't help wondering if you've found a book trailer before that simply blew your socks off. Walking on Sunshine. I can totally see that now...never would have guessed it though! LOL. I don't know what a Scrat movie is, but it doesn't sound very friendly! You don't put in chapters until the end? That's interesting. So you just write in scenes, and then organize them once you have them all? Or is it even more chaotic than that? It is Friday the 13th today. I have to work late today. I feel unlucky already. And I don't even know what that Scrat movie is, I haven't heard of it. I have no book trailer at all, although I think I've mentioned I'd love to try to make one. Great informative post Alex. The Google Reader has always worked on my pc since changing to Chrome. Thanks for the tips on the Giveaways and films. Angela, I appreciate that. And I think I'm biased when it comes to trailers. Lynn, if I hadn't looked it up, I wouldn't have known either. Thanks, Laura! And Scrat is from Ice Age IV. Bryan, that's it. I insert breaks between scenes and divide up the chapters when it's edited and done. Thanks for the tip on the reading list, I definitely need to try to manage my list better. I love your trailers, they are both so well done. Great to see them again. Hi Alex, it was a pleasure hosting you. Your advice is spot on. Thanks for the guest post. I like the idea that you write in scenes and put in the chapters in the end. I have the bad habit of writing in chapters, I am trying to change this habit with my current WIP, where I am writing in scenes. Loved the trailer of your books. Not only do you pack enough info in one post for a week's worth, but you do a guest post, too! How do you do it? Congrats to Laura for the contract. Highest of sales for her! Happy that you have at last nearly finished your third act in the Cassa-series. Today's goal is to organize Google Reader. Thanks all for the tip! I m feeling lucky, this 13th. I know where you're coming from with the chapters, Alex, I do the same thing. I can only think in scenes, not chapters! Congrats on nearly finishing! Oh, I should have guessed Toy Story 3! Great movies. Of course now me kids get all upset if we want to put a toy in storage because they think the toy will be sad. . . Thanks for the mention! I hope some of your readers get the chance to pick up a Kindle copy of The Man in the Cinder Clouds, it's a fun story for kids and adults. Woot. I got Snow White right. G'morning Alex! Glad to hear your book will soon be ready. I think Sci-fi can be fun without geek jargon (there is a place for that style). You tell a good story, take to fun places, and made me care about your characters. I love Byron. You did a nice article for Rachna's blog. I loved the Ice Age movies. Just simple, funny, and aww. This is like reading headline bits on a newsfeed. What fun! I didn't even realize today was Friday the 13th. Thanks Alex, now I'm scared. I've always tried using that option to manage my blog list but it never loaded properly. Idk if it's my computer or the gadget. P.S. The woman in the first trailer of Cassa Fire had a nice rack. LG, I'm working on it! Rachna, thank you for offering! Roland, Ninja skill, plain and simple. Thanks, Michael. And I'll feature your trailer in an upcoming post. Brinda, thanks - I'll feature them soon. Nick, that's good to hear. Rick, I'm not a Floyd fan, but that would've worked for me. Carol, you still did good. Congrats on being first Jeremy! Alex, "Write what you enjoy" is the best writing tip I can think of. The follower thing isn't working for me. It only lists one entry instead of 300. I'm glad it helped you though! Alex, thank you thank you thank you! I really appreciate your support. Walking on Sunshine. Really? Odd. As for the Manage Reading Lists, mine always times out before loading the list. Which is why I manage in Reader instead. Oh, thank goodness. I follow so many blogs, it's crazy, some I don't read. I need to clean them up this weekend. Looks like I'll be cleaning out some blogs this weekend. Hopefully I don't delete ones by accident! Now, that, I find interesting. I'll have to try the unfollowing thing. I know which one I want to start with. No, it's not your blog--never! Great idea about featuring book trailers! As always, you're innovating and supporting fellow writers! Way to go, Alex! I would never have guessed Toy Story 3. Or Walking on Sunshine. I can't think of a single move offhand that had that song in it. Maybe you could do a trivia question to name those movies. Glad you're coming down the home stretch with CassaStorm. Mary, I'll take that as a big compliment! PTM, I'll pass that along to my publisher. Liz, that's awesome! And you're welcome. Joshua, in the old interface, mine did as well. With the new one, it works. Suze, that's just how I roll. Well . . .. as you know I looked up the answers to some of the trivia questions so your answers kind of helped. I knew that Snow White could have been first, but also knew that somehow Toy Story held that spot. Disney just rocks. Not seeing the scrat movie - haven't seen more than two of them so far, and my kids aren't even interested. Now i'm gonna have Walking on Sunshine in my head all day. Also, it reminds me of that episode of Futurama, with Fry's dog, and that makes me cry. That's great about the blogger unfollowing solution. Wow! Walking on Sunshine is the most used song? That is very interesting!!! Completely unrelated to your post, I love the Mayan/Hobbit button! Happy Friday the 13th. Glad you fixed the unfollowing problem and will stop by to check out your guest post. Never thought about splitting a book into chapters at the end. Interesting idea, might give it a go. Walking on Sunshine? Whoa. I would never have guessed that one. Course I just think of Futurama and Fry's dog that sang Walking on Sunshine. Sarah, oh wow! Hope she enjoys it. Cherie, not a chance. I deal with tech stuff all day. The last thing I want to write (or read) is more tech junk. Nancy, I'm sorry! Hope he's all right. And yes, wish there was an app for that. Moody, I'm either a genius or lazy. Most likely lazy. Happy Friday Alex! Thanks for all the info, as always. The unfollow is a help! 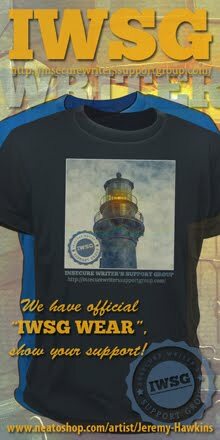 I have several blogs that have been taken over by ads after the owner released the name - now I can finally dump them. awesome news and movie trivia! walkin on sunshine, huh! Thanks for that very information to stop following a blog. You divide into chapters last? That could never work for me...but everybody has there own process! TS, two of you have mentioned that now. DL, I know, it's odd. Ooh, I love your book trailers. Do you have a Youtube channel? You should. If so, send me the info so I can subscribe. Alex - Still great book trailers. Love them. I will feel lucky today if my husband calls and tells me the air-conditioning will be fixed this weekend! I had no idea that Walking on Sunshine was the most popular song in movies. Love those little trivia facts. I don't get to watch Jeopardy any more, so I'm craving some! I wonder which one of us actually follows more blogs. It's probably you, but I bet it's close. Yep, the unfollowing solution was a big help. Thanks! And I'm going to go check out Nutschell's contest! Of course I will post about the giveaway. I did not think of that for the unfollow issue. I like using Google reader a lot. So thank for that tip back when. Congrats on getting close to done with Cassastorm. Fantastic. Thanks, Mina! I don't - they are all listed under my publisher though. Christine, hope your AC is fixed. I dig trivia, so I can post a lot more if you like. Kitty, I never could on the old dashboard either. Matthew, I follow about the same number as follow me. Mel, thanks for stopping by! Morgan, my head is a scary place! Edi, thanks! Mutschell will appreciate that. Mary, it made a big difference with blogs that you can't unfollow at their site. Ice Age IV? Not sure that I want to see that. But, my kids probably do. My Google Reader freezes up on me so much that I do need to clean it out a little. Good tip! YAY!! I guessed the Oscars question last time :)) Hehe, this was fun. Kela, take them to see Madagascar III. Leigh, some days I don't either. Elizabeth, thank Laura and my other followers! Toy Story 3 was very good, one of my favorites (and I watch a lot of kid movies). Me thinketh thou art too humble. Those were about the best words of advice anyone can give to writers. Rachna's Scriptorium is a little richer today for your visit. 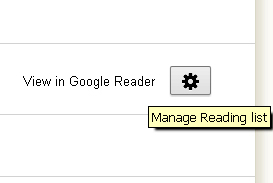 Thanks for the info about how to un-follow on Google Reader. Still trying to use learn how to use Google + properly. Glad to hear you are nearly finished writing Cassa Fire. Hope you had a Happy Friday 13th! I had to unfollow some people when they changed blog sites b/c I couldn't get only the new site to pop up. I feel weird about unfollowing; but I know I need to clean out my reader and followers - sites that have been abandoned for for a year or more. I enjoyed all the guest posts. Have a good weekend Alex. Hi Alex ..just going through the unfollowing process - only so much one can do .. How you keep up with everything I'll never know! The trivia questions were great and so pleased you answered them here - but still have no idea about the song ... I hopeless in that direction. That unfollowing tip is helpful. I've had several people ask me. I reverted to the old interface and am still using it. lol. I wonder when google will force us to use the new one? You supposedly can only follow 300 people on the new system? Thank you so much, Alex, for the helpful suggestion about removing blogs. I just have so many. Sorry I haven't been around much but know this, I truly appreciate your comments, even around the blogisphere. Jeff, thank you very much. Gary, glad you survived the day. I'm going to stay inside, because if I were to go outside, I would be drenched - by the humidity. Donna, it's weird how the abandoned sites get snatched up by people who just want to advertise. Denise, I use the new interface and follow as many as follow me, so I don't think there is a limit. Clarissa, that's all right! Thank you for taking time to stop by. You know I'll always visit you. What's your timeline for CassaStorm? I still have to read CassaFire! Thanks for the unfollow tip. Since blogger switched over have still been trying to figure some things out myself. Very nice book trailers also. One town got to see their fireworks finally because of the bad storms they were delayed until Fri 13th! I'm on my way over to Rachna's right now! And The Writing Not too! Not going to see the Ice Age movie. Thanks for the unfollowing advice. Trying to just write and write and write this weekend. Jay, as in when will I have it finished? Late fall. Then it's up to my publisher - whether they like it or not and when they want to release it. Gwen, I will include it soon! Gossip Girl, that's one long delay. So much great news and info, Alex. I'm heading over to Rachna's first. Oh, Toy Story 3--I should've known! Sooo good, saw it on my daughter's 10th bday and I cried an cried thinking about her growin up. My 8-yr-old wants us to see Ice Age IV this weekend but hubby doesn't want to spend the $40 it'd take for us to go and I don't blame him! Ah, and Google+ . . . I still can't figure out how to get that widget on my bar. I googled for directions but it sounds super complicated and I'm not that smart, at least when it comes to technology, lol. Your guest post was great. Jamie, your husband and eight-year-old could go by themselves. Or go see Madagascar instead - better movie. I 100% agree with Nut's assessment. I love that your stories just let me LIVE in your story without making me think too much about the science. Look at Asimov or Bradbury--they're books weren't overly long and yet they are the EPITOME of awesome sci-fi-ness. And so are you! Hmm. I've not had problems unsubscribing. Good to know, though. I love your book trailers. They're pretty fantastic. The inspiration is with you, I'm happy for the progress of CassaStorm. Ali, thank you! And Bradbury is one of my literary heroes. Leovi, over 3000 words today! It's nice to know someone else waits to put the chapters in. Sometimes, I just have to wait until I see the progression of things, and where the tension lies. Glad to hear about the removal! THANKS! Thanks for the blogger tip! Glad it worked for you. I'm terrible at trivia. Wow, 11 Oscars - very cool. Is that the most any movie can win? Congrats to all on the great news! I'm off to check out the interview. Great trailers, Alex! I struggle with wordiness, so I should take a cue from you. And I agree about character-driven SF -- it's the best way to keep SF accessible for as many readers as possible. Alex, I love how you promote your followers in Ninja News. What a nice feature! I have some serious blog following organization to attend to. Thanks for the tip on Google reader. Popping over to the linked blogs. You're so busy Alex! Congratulations on almost finishing your book! That's wonderful! Karen, exactly! I have to wait until I'm done to see those things. Alexander, glad you stopped by! Cate, be happy to include yours on a Friday! Milo, that's why I write the way I write. I'll have to work on the Google thing when I get home. I'm not happy with them right now. Good luck finishing up your final book. Write what you love! Walking on Sunshine by Katrina and the Waves, a wonderful song that I danced a lot during the 80's. MsHatch, or ones that never followed you back. Leovi, I wasn't much of a dancer. Loved Nutschell's review. I'm going to have to do one as well. Sorry I have not given you a review as yet. Oh I didn't know about Laura's news! I'll hear over and congratulate her! Thanks for sharing the unfollow solution! I have a feeling I'll have to go to the cinema with my daughter to the Ice Age. I hope it won't be unseeable, but I almost sure about my little one will enjoy it very much. Melissa, if you read it and enjoyed it, I'm happy! RaveAir, Ice Age IV is watchable. And I hope to have the third book ready for my publisher by late fall. After that, it's up to them. These are stunning book trailers. The first may be the best I've ever seen. Thank you for the sharing them.